Interesting option to invest some time swimming in Houston. Is it not your first time here? Tell us how it went utilizing the Facebook comments below or contacting us directly! 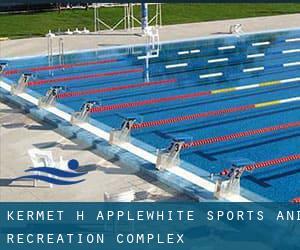 Kermet H. Applewhite Sports and Recreation Complex is only one of all of the swimming pools Swimia is offering you, and its information has been shared with us by a swimmer like you.Remember you possibly can now promote Kermet H. Applewhite Sports and Recreation Complex by sharing this page together with your friends, adding comments and linking to us. This sports center provides 25 yards, 6 lanes, Indoors. For this Swimming Pool, only phone number is number here. 2603 Timmons Lane , Houston , TX , USA (Postal Code: 77027). Among all the activities offered by the center, if you are thinking about swimming you will enjoy 25 meters, 6 lanes, Outdoors. Just in case you would like to contact this Swimming Pool before dropping by, we only know the phone number. 8307 Augustine , Houston , TX , USA (Postal Code: 77036). This great and large sports center lets professional swimmers like you enjoy 25 yards x 180 feet, 7 lanes, Outdoors. Additionally, within these facilities you can try 20 yards x 120 feet, 4 lanes, Indoors. Unfortunately we do not have the email address of this Pool, but we can give you the phone number. Bally's President and First Lady - Katy Rd. 9825 Katy Rd. , Houston , TX , USA (Postal Code: 77024). Among all the activities offered by the center, when you are interested in swimming you can expect to appreciate 25 meters, Indoors. Just in case you would like to contact this Swimming Pool just before dropping by, we only know the phone number. 1331 Augusta Dr. , Houston , TX , USA (Postal Code: 77057). Among all of the activities supplied by the center, if you are thinking about swimming you will enjoy 25 yards x 48 feet, 8 lanes, Outdoors. Just in case you want to contact this Swimming Pool before dropping by, we only know the phone number. Updated on 2019 1475 W. Gray St. , Houston , TX , USA (Postal Code: 77019). Among all the activities offered by the center, if you are thinking about swimming you will enjoy 25 meters, 5 lanes, Indoors. Just in case you would like to contact this Swimming Pool before dropping by, we only know the phone number. Updated on 2019 8650 Endicott Lane , Houston , TX , USA (Postal Code: 77096). Among all the activities provided by the center, for anyone who is interested in swimming you will enjoy 25 meters, 3 lanes, Indoors. Just in case you want to get in touch with this Swimming Pool before dropping by, we only know the phone number. Bally's President and First Lady - W. Greens Rd. 430 W. Greens Rd. , Houston , TX , USA (Postal Code: 77067). This sports center provides 25 meters, Indoors. For this Swimming Pool, only phone number is number here. Updated on 2019 1300 Lamar St. , Downtown , Houston , TX , USA (Postal Code: 77010). This sports center delivers 20 meters, 2 meters depth, 2 meters depth, Outdoors. For this Swimming Pool, only phone number is number here. 808 Pease Street , Houston , TX , USA (Postal Code: 77002). Swimmers like you reported 25 yards, 4 lanes, Indoors. Unfortunately we do not have the e-mail address of this Pool, but we can give you the phone number. Updated on 2019 1006 Voss Rd. , Houston , TX , USA (Postal Code: 77055). This great and large sports center lets professional swimmers like you enjoy Olympic size x 25 yards, 10 x 22 lanes, 4.5 feet - 6 feet depth, Outdoors. Additionally, within these facilities you can try 33-1/3 meters, Indoors. Phone number and e-mail address are number for this Pool. Bally's President and First Lady - Post Oak Rd. 1980A S. Post Oak Rd. , Houston , TX , USA (Postal Code: 77056). Swimmers like you reported 25 meters, Indoors. Unfortunately we do not have the e-mail address of this Swimming Pool, but we can give you the phone number. 19915 State Hwy. 249 , Houston , TX , USA (Postal Code: 77070). Among all the activities offered by the center, if you are interested in swimming you'll enjoy 25 yards, 6 lanes, Indoors. Just in case you want to contact this Pool before dropping by, we only know the phone number. Updated on 2019 111 N. Post Oak Lane , Houston , TX , USA (Postal Code: 77024). Swimmers like you reported 25 yards, 6 lanes, Outdoors. Unfortunately we do not have the e-mail address of this Pool, but we can give you the phone number. 5215 FM 1960 W. , Houston , TX , USA (Postal Code: 77069). This sports center offers 22 meters, Indoors. For this Swimming Pool, only phone number is number here. 4400 Memorial Dr. , Houston , TX , USA (Postal Code: 77007). Among all the activities offered by the center, if you are thinking about swimming you will appreciate 25 yards, Outdoors. Just in case you would like to make contact with this Pool before dropping by, we only know the phone number. Are you a member of employees or know nicely this place? Please, make contact with us to validate this information.